The cap is hemispherical and downy when young, later flat, yellowish brown or darker and up to 5 cm in diameter. The flesh is pale yellow with a mild taste and the spores are olive. 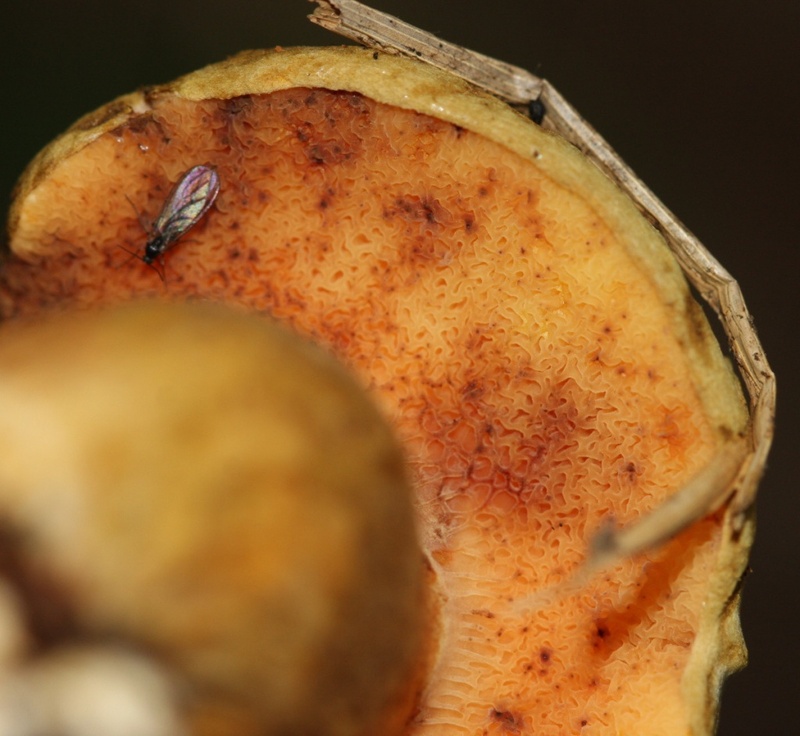 The stem is pale yellow to olive. Pseudoboletus parasiticus is unlikely to be confused with any other species, because it occurs only with the Common Earthball, Scleroderma citrinum. 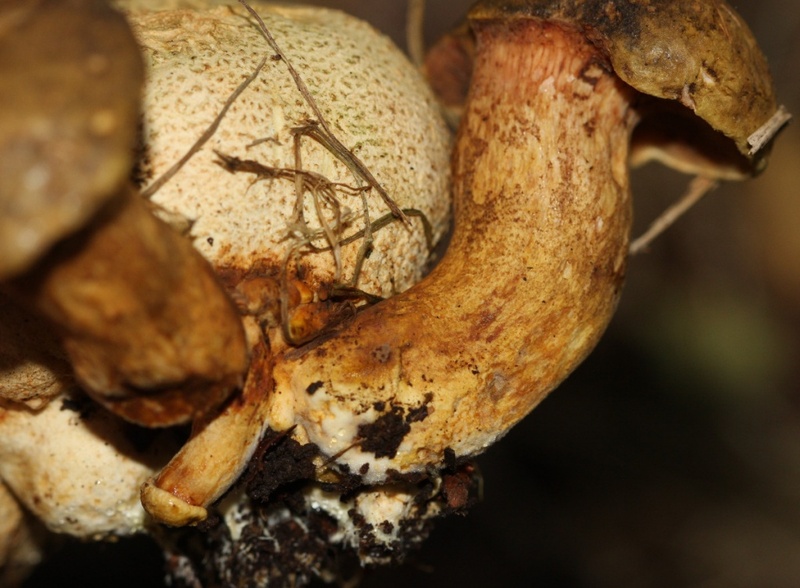 Whilst the bolete itself is not particularly distinctive, its growth from an Earthball is diagnostic. August to end of October. 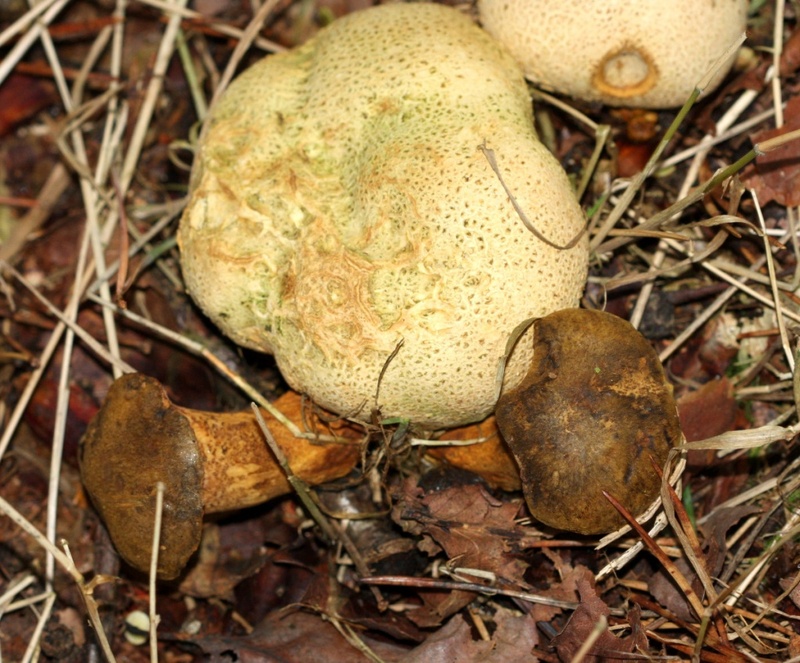 It occurs only with the Common Earthball, Scleroderma citrinum and is thought to be parasitic on that species. Widespread, though infrequent, in the southern half of Britain. Quite scarce further north. 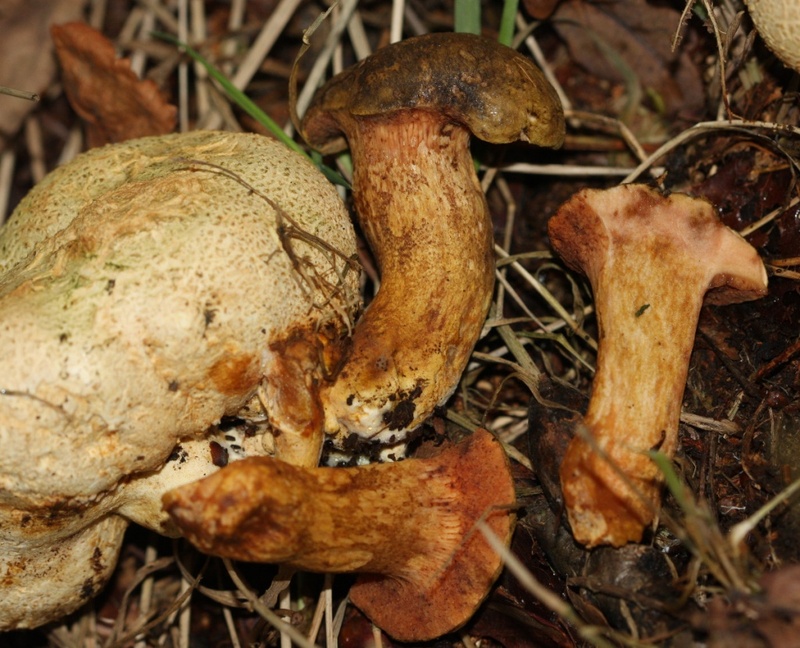 Uncommon in Leicestershire and Rutland where there are only a handful of records.